Baby monsters need love too! 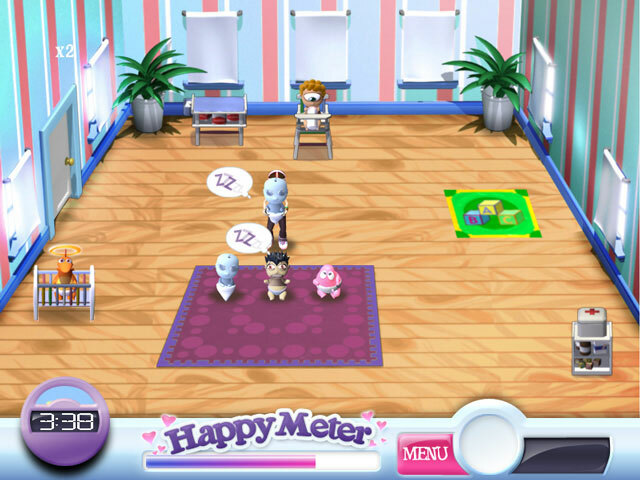 Daycare Nightmare is a time-management game starring cute baby monsters and the challenges of caring for them. You've discovered that monsters live among us. Naturally, when they realize that you know their secret, they have to eat you. But the threatening monster has to run off at the last minute, so it makes a deal with you. If you watch its baby for the day, maybe it won't make you dinner. The gameplay takes place through seven unique environments and 49 exciting levels. 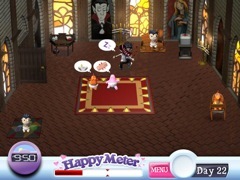 You are challenged to take care of five different kinds of cute little baby monsters, including a blob baby, a vampire baby, a ghost baby and more. Each needs feeding and changing, a place to play and a crib to nap, just like human kids. But they have special characteristics as well... like if a dragon baby gets too mad, he breathes flame and you've got to patch up all the surrounding kids. If you ignore the vampire baby for too long, he'll bite you and slow you down for a bit. At the end of each day, you can use your tip money to buy powerups and monster treats for the next day. 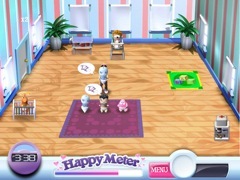 There’s never been a game that’s so cute and so hectic at the same time. Try it now!